Rotherham United travel to Bramall Lane tomorrow (where it is a 1215 kick-off) with quite a few people probably thinking that a win for the hosts is on the cards. But, don’t write the Millers off. Rotherham United are the away draw specialists of South Yorkshire having drawn their last three, two of which they came from behind to get a point (Hull City and Reading) with the other being a goalless draw at Millwall. It doesn’t matter that the Millers are currently third from the bottom of the Championship while the Blades are third from the top – it doesn’t matter that Sheffield United haven’t lost at home since January, and that was in the FA Cup against Barnet (so we can guess that the team wasn’t full of first team regulars) and Rotherham are yet to win away from home this season – it doesn’t matter that the goal for Barnet was the last goal scored by an opposition team at Bramall Lane. Well, actually, all those things probably do matter but I am expecting Rotherham United to give their neighbours a good game. After all, the Millers have had more time to prepare for this game with them playing the normal 3.00pm on Saturday and the Blades playing in the Sheffield derby on Monday night. Of course, we’ve not got as many players to swap about as Chris Wilder and we haven’t spent the money they have. But what really matters is what happens from 1215 on Saturday until around 2pm. As I said, I have no qualms that the boys wearing the Rotherham United shirts (whichever colour it is) will give it their all. And, really, you can’t ask much more than that. 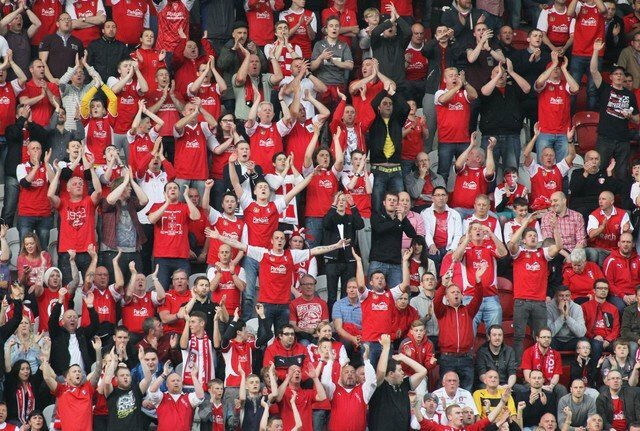 So, if you are a Rotherham United fan travelling to support the Millers tomorrow then do just that – cheer them on for ninety minutes, shout loud, shout proud and sing – sing your hearts out for the lads.